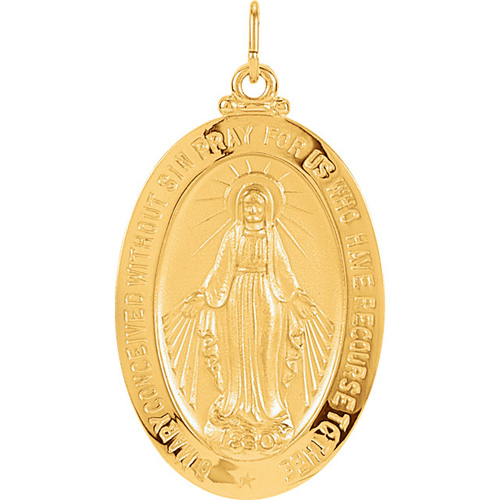 14kt yellow gold miraculous oval medal pendant. Dimensions: 29mm by 20mm. This item is larger than a quarter. 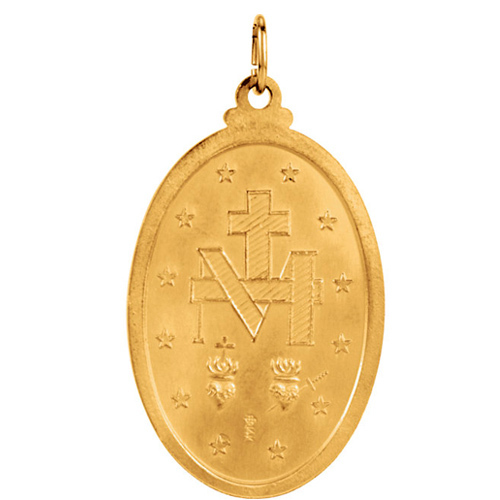 The back of medal features an M, surmounted by a cross, with 2 hearts and 12 stars. Item weighs 7.25 grams. Chain not included.